Andhra Pradesh Tourism Development Authority (APTDA) is going to expand its project called 'e-guides' to various heritage monuments in State. VIJAYAWADA: Andhra Pradesh Tourism Development Authority (APTDA) is going to expand its project called 'e-guides' to various heritage monuments in State. This expansion which will rule out the need for tourists to bargain with guides to show them around heritage places. QR codes will be displayed at the entrances of tourist spots and visitors can scan them to get access to the history of the site and details on what they should not miss there. It will also help them navigate through the monument. After scanning the QR code, the tourist will be navigated to the 'e-guides' website, where he will have to opt for the language he wishes to be guided in. Currently, tourists have the option of choosing out of English or Telugu languages. Hindi is soon going to be added to the list. 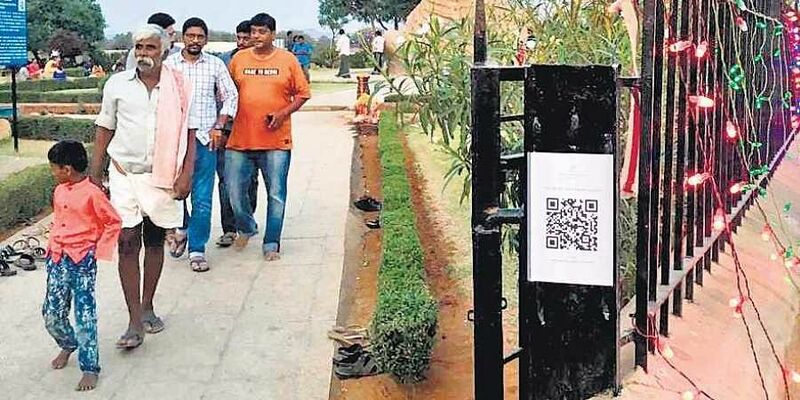 This facility has been made available at Lepakshi and Undavalli caves and QR codes have been stuck near the monuments' entrances. Officials have proposed the names of 18 tourist destinations for being equipped with this facility by the end of March. Speaking to TNIE, Vijaya Krishnan, CEO of APTDA, said, "This project is a first of its kind in the country. Tourists need not search for guides anymore, they can simply scan the QR codes and get access to all the information." The places where this facility is going to be made available are Gandikota, Kondapalli fort, Horsley hills, Erra Matti Dibbalu, Gandhi hill, Tripurantakam, Chandragiri fort, Kethavaram caves, Borra caves, Amaravati Buddha stupa, Coringa wildlife, Guntupalli buddhist caves, uppalapadu bird sanctuary, Nelapattu, Belum caves, Rock gardens, Lepakshi and Undavalli caves.